How to Convert PDF to Page Turning eBook or Magazine? 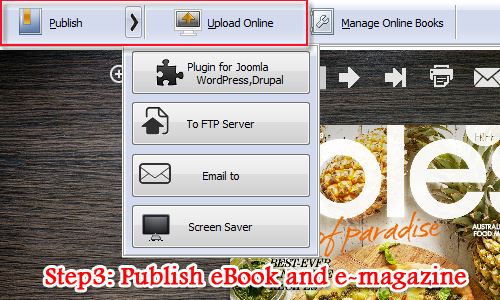 I would like to create a page turning ebook and e-magazine from PDF file. And now I am searching a suitable flip book maker. A-PDF FlipBook Creator seems great and suitable. And the page flipping book is what I need. Then how to convert PDF to page turning eBook? If you are searching a flip book creator to create digital publication with page turning effect from PDF file, then you really have to try A-PDF FlipBook Creator. A-PDF FlipBook Creator is a professional creator to convert PDF to gorgeous page flip book, e-magazine, e-catalog and e-brochure with ease. For one thing, A-PDF FlipBook Creator provides an easy way for users to import PDF to flipbook; for another, A-PDF FlipBook Creator allows users to enrich the page turning book by templates, changing tool bar settings and so on. 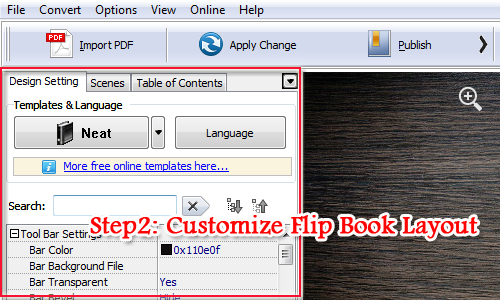 Now let’s show you how to get start to convert PDF to page turning eBook by A-PDF FlipBook Creator. 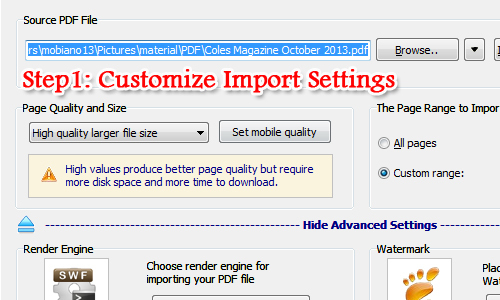 First of all, import PDF file and then continue to customize importing settings such as page range to import, page quality, import bookmark, links, enable search and watermark. Anyway, you are able to customize settings based on your actual needs. Next is to customize flipbook layout. If you want to change the layout style, you can customize it by changing template, theme and scenes of A-PDF FlipBook Creator. If you would like to changing the layout color and font, then you can try to make it work by changing tool bar color, icon and font and more settings easily. Now go forward to publish the digital eBook, e-magazine. On one hand, users can choose to upload the page flip book online directly; on the other hand, you can publish the page flip magazine offline as HTML, zip, exe, plug-in, screen saver, email to and to FTP with ease.